Welcome to my blog! If you have received your school information and have learned that I am your teacher, print out your welcome letter, and see how to prepare for a great first few days. See you soon. I'd like to welcome my new 4th Grade Class of 2017-2018! Soon you will be receiving information about me and your schedule. I can't wait to meet you and begin a wonderful year, loaded with great learning fun! We're off to a great start! Thank you to all those parents out there! You children ( and I) appreciate you. Cheers to a great year! It was wonderful meeting all of my new students, today! It's always so exciting to begin a fresh, new year! I'd like to send a great big thank you to all my parents for sending in supplies and working on the Writer's Notebook Cover Pictures with your children. They certainly loved sharing all of their special pictures of family, friends, and pets. I can't believe how many pets some of you have! Well...welcome to a fun filled year of fun, fun, fun! 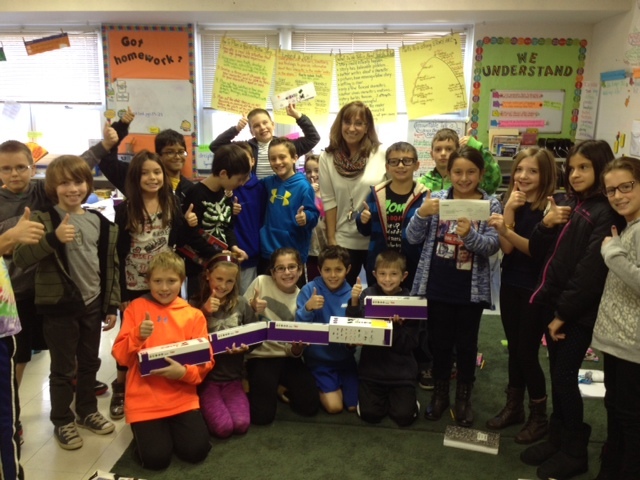 Here is a picture of my class and me as we were presented with our grant check! Thank you so much, Jersey Central Power & Light for this opportunity! We love our Little Bits! The students in room 140 understand the design process! They know how engineers work! The students are having a fantastic time exploring STEM; our first engineering design challenge was a great success! 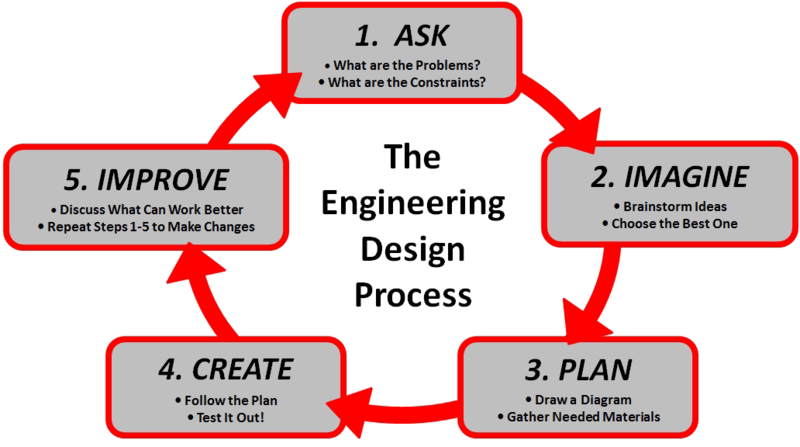 We worked through the engineering design process as we were developing our projects. Students worked collaboratively in groups to design a hot air balloon out of common everyday household items. They had to use their math knowledge of weights, measurements, volume, as well as their science knowledge of air pressure, wind, and matter. After learning from videos and pictures from the internet, the students designed, as engineers, their very own hot air balloons! Check out the pics!